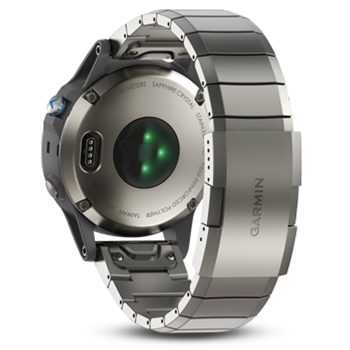 The Quatix 5 from Garmin is designed specifically for the water. 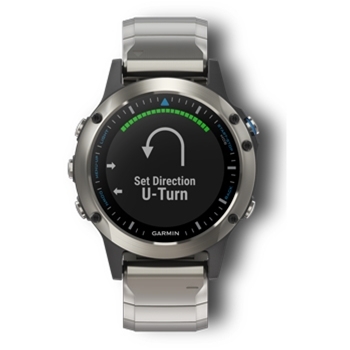 It’s a marine GPS smartwatch with enhanced connectivity to compatible Garmin chartplotters and other devices. If you pair it with a GCH20 autopilot control you can now wirelessly control the autopilot through the Quatix 5. Another great feature is the ability to add waypoints with the Quatix 5 to your connected chartplotter and it has a built-in Fusion-Link Lite app for stereo control as well. All these great new abilities are built around the full feature set of the Quatix 5 which include a high sensitivity GPS, wrist based heart rate sensor, built in 3 axis compass and altimeter, dedicated MOB (man overboard) and trackback, anchor watch (drifting), sailing features, fitness and paddle sport functions and so much more all packed in a stylish waterproof design (to 100 meters). The color LCD display is easy to see in almost any condition and the lightweight (3 oz.) 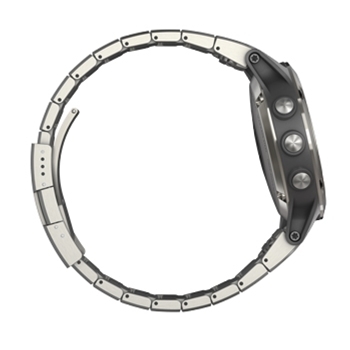 Quatix 5 can operate up to 24 hours continuously in GPS mode and up to 2 weeks in smartwatch mode. Of course the Quatix 5 is fully compatible with the Garmin connect app and has ANT+/Bluetooth connectivity too. The Quatix 5 Sapphire comes with a stainless steel band and a scratch resistant domed sapphire lens. Each Garmin Quatix 5 Sapphire Watch comes with: Garmin Quatix 5 Sapphire Marine GPS Watch with Metal Band, Extra blue silicone QuickFit 22 watch band, Charging/Data Cable, Documentation and a One-Year Warranty.